Cypher Clique is a hip-hop trio out of Dover, Delaware that consists of emcee's Mic Anthony, Relay and James Major (who also handles production for the group). The trio met in high school and have been rocking ever since. After releasing several mixtapes they began making waves on a local level and began nabbing show opening opportunities for artists such as A$AP Rockey, Wale, Mac Miller, Meek Mill, Travis Scott and many others. In 2015, Cypher Clique made Delaware hip-history as they became the first hip-hop artist from the state to perform at the FireFly music festival. On 5-25-18 Cypher Clique will release their new album, Vintage 07, which features Mickey Factz and Sir Michael Rocks. 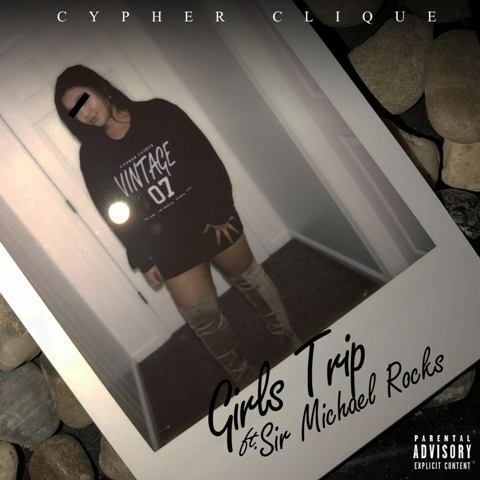 After appearing on Spotify’s “Fresh Finds: Fire Emoji” Playlist for the last single, “Mini Golf,” Cypher Clique returns with their new single “Girls Trip” featuring Cool Kids Sir Michael Rocks which was premiered by HipHopDx. This version of “Girls Trip” is an alternate version which does not appear on Vintage 07. You can catch Cypher Clique on the road at their next stop in Philadelphia, PA on May 5th at The Pharmacy.